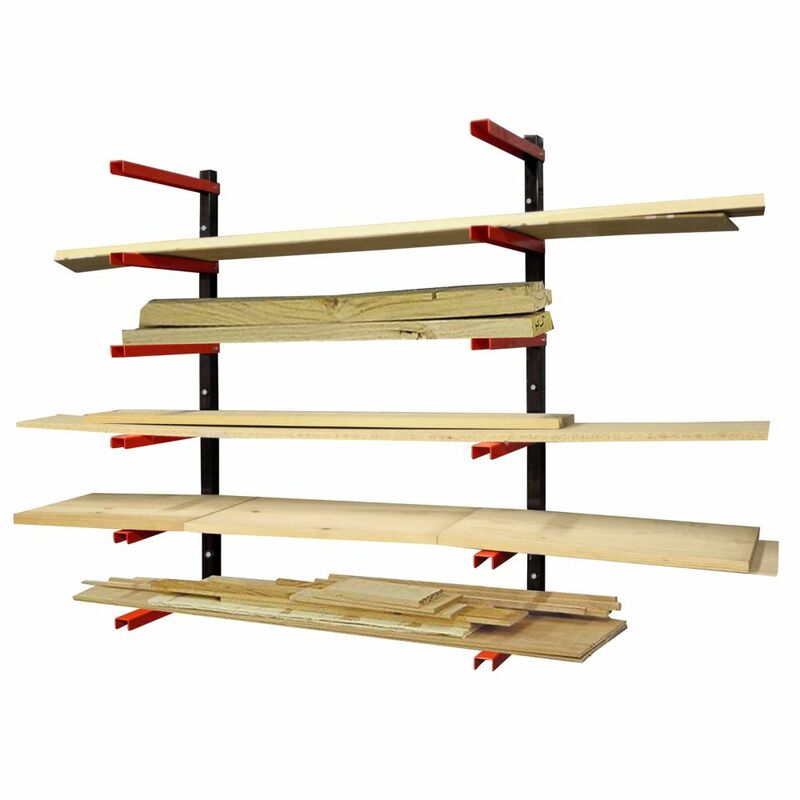 The Tool master 6-Level wood rack organizer provides generous storage capacity for lumber, pipes and other long items, flat and safely. For internal or external mounting applications in workshops, garages, sheds, on fences and walls etc. 6 levels of storage. Its easy to install and great to customize to meet your individual needs. This is a beautiful 5 Shelf Rack. It is a Brown hand stained, cross-hatch heat pressed wood treatment, reliably constructed this is a free standing metal wood rack. Ample open storage space for books or decorative accessories suitable for any room in your home and multiple bookcases can be placed together without occupying much space. Brought to you by ArtMaison Canada. Honey-Can-Do SHF-03521 6-Pack Modular Mesh Storage Cube, White. Create unlimited configurations or combine multiple storage cubes to build a customized storage solution. Easy snap together assembly is achieved with multi-angle and heavy duty composite connectors. Made from heavy gauge steel wire, this organization unit is perfect for bedrooms, bathrooms, laundry areas, dorms, and the garage. 6 Shelf Wood Rack Organizer The Tool master 6-Level wood rack organizer provides generous storage capacity for lumber, pipes and other long items, flat and safely. For internal or external mounting applications in workshops, garages, sheds, on fences and walls etc. 6 levels of storage. Its easy to install and great to customize to meet your individual needs.